InterMoor UK Operations achieves eight years without lost-time incident. InterMoor UK Operations, part of Acteon’s foundations and moorings business, has surpassed eight years and more than 2,520 projects without a single lost-time incident (LTI). 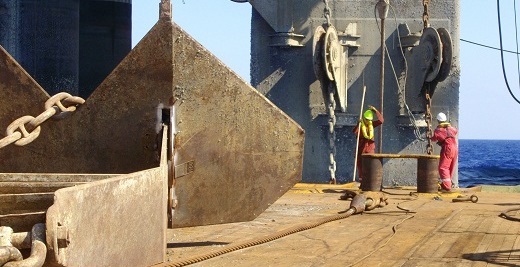 The safety record is held by InterMoor UK Operations – InterMoor Ltd, InterMoor Marine Services Ltd and ChainCo. Company operations span three bases, five storage yards and numerous quayside locations in the UK and globally. In 2015, InterMoor UK Operations opened a new base in Aberdeen harbour and continued its focus on safety. The new equipment at the facility was assembled with a focus on safe, effective and efficient operations. Bruce Strachan, quality assurance and health, safety and environment manager, InterMoor UK Operations, said, “Eight years without an LTI places InterMoor UK at the forefront of worldwide safety performance. Very few businesses of a comparable size have conducted operations for this length of time without recorded incidents. Of course, the aim is to continue the trend. Our target is, and will always be, zero accidents or incidents.